The heart of the textile industry in France was in the region of Lille. So what better place to host the 1951 International Textile Exhibition. The Exhibition was held at the Grand Palais de la Foire de Lille. This building was constructed in 1932. It was actually damaged quite badly during WWII, so the opportunity was taken to repair and renovate the building for the Exhibition. The Exhibition opened on 28 April 1951 and it truly was an international affair with the textile industries of some 22 countries represented. The visitor could peruse textile exhibits from countries including Germany, Belgium, South Africa, Pakistan, Japan, New Zealand and Australia to name just a few. Each day boasted a different theme focusing on a particular material such as silk, nylon, rayon,wool, cotton and many others. Perhaps the primary purpose of the Exhibition was to allow participating countries to present their own production methods, and the types of machinery and materials they utilized. For instance, Japan demonstrated how they manufacture cotton and rayon garments in a simple and cost-effective manner. 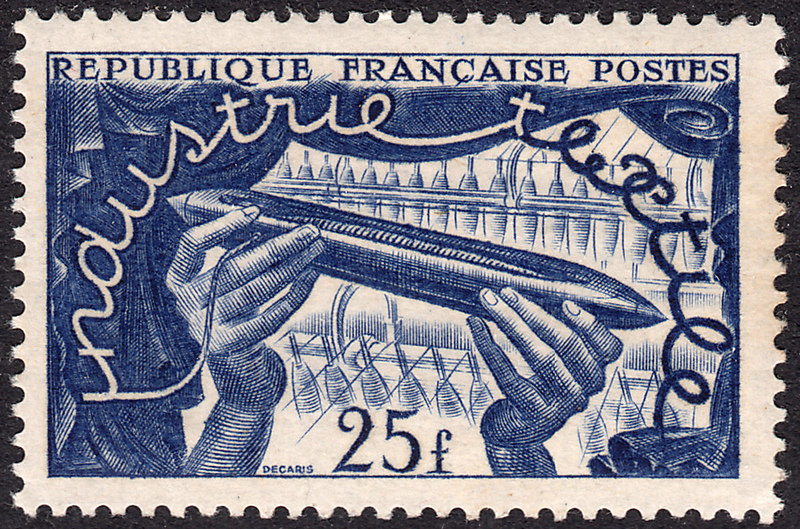 The Exhibition ran for three weeks, concluding on 20 May 1951. Judging by the number of visitors to the Grand Palais, it was a smashing success. It is said that over 1.5 million visitors attended the Expo from France and across the world. 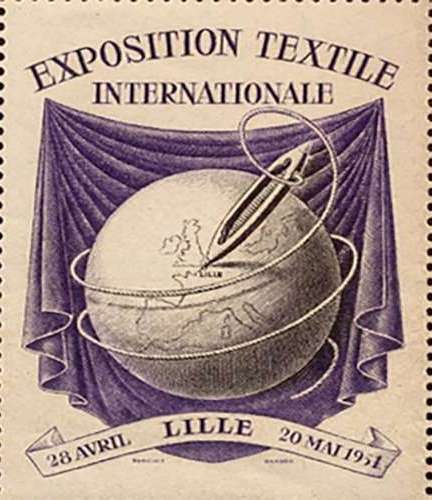 On 7 April 1951 France issued a stamp to celebrate the International Textile Exhibition of 1951 in Lille. The stamp was designed and engraved by Albert Decaris. This lovely design depicts a pair of hands proudly holding a weaving shuttle for us to admire. In the background we see the shuttle at home with numerous others of its kind in a weaving loom. So just what is a shuttle? Something used for flying into space? Well, not in this instance. 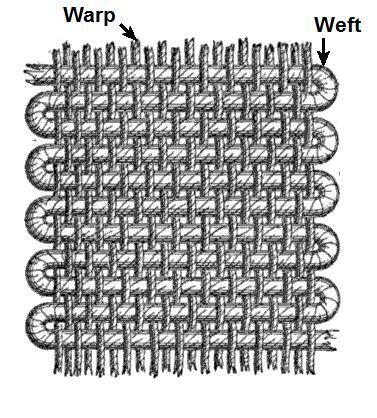 A shuttle is basically a tool that is used in the process of weaving yarn called the "weft" horizontally through vertical strands of yarn called the "warp". See the image below. 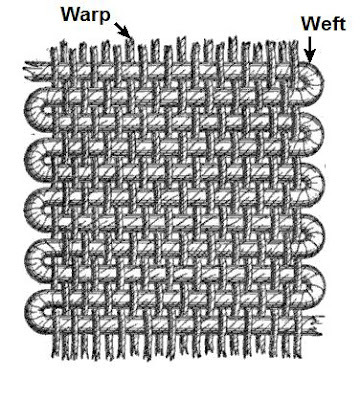 The title of the stamp has been written in such a way as to suggest that it has been woven from the thread stored within the shuttle. Very artistic! And you'll be pleased to learn that that label was engraved by Pierre Gandon! Available in 10+ (I believe) colours. Really? How cool is that! Thanks for the info, Adrian. I'll update the blog and go on the hunt for an example of the label for my collection.